Jesinta Campbell was born on 12th August 1991. She is a pageant titleholder from Australia. She won her national title, Miss Universe Australia, on 17 June 2010. Campbell grew up on the Gold Coast, Queensland and attended Aquinas College through her schooling years. Campbell was crowned Miss Universe Australia 2010 on 17 June 2010, gaining the right to represent Australia at Miss Universe. Jesinta competed at the 2010 edition of the Miss Universe pageant on 23 August 2010 and finished as the 2nd Runner-Up behind Yendi Phillipps (Jamaica) and winner Ximena Navarrete (Mexico). She was also designated Miss Congeniality at this pageant. In September 2010, she became a guest reporter for entertainment and fashion subjects on Seven Network’s The Morning Show. In October 2011, she appeared as a contestant on the Nine Network’s The Celebrity Apprentice Australia as a member of Team Unity. Jesinta appeared on the Hot30 Countdown on 3rd January 2012 and filled in for Maude Garrett with Matty Acton for one week. Jesinta came back as Matty Acton’s co-host on 27th February 2012 on the Hot30 Countdown. 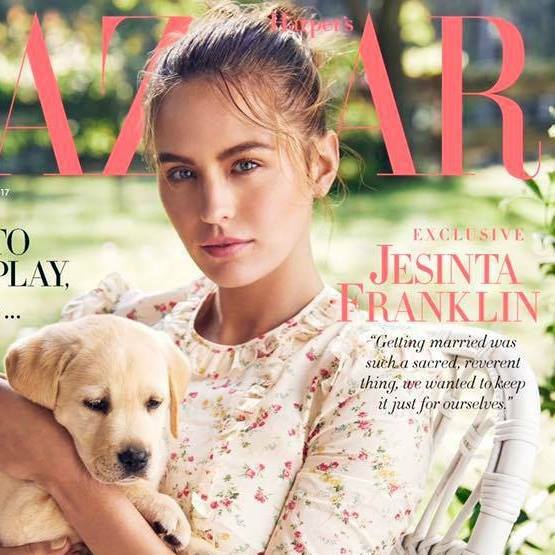 Jesinta Campbell had 2013 as an incredible year for a vivacious 22-year-old, as she juggles charity and media commitments alongside her modelling and ambassador roles. Jesinta’s appearance on the 13th season of the Seven Network’s Dancing with the Stars, gave her the opportunity to learn a new skill – while impressing the judges with her passion, exuberance and charm, and raising funds for the Reach Foundation in the process. Jesinta’s other television appearances included regular roles as a weather presenter on Weekend Today, and reporting for Channel Nine’s Mornings and Getaway. Away from the TV screens, gorgeous Jess (who grew up on the Gold Coast and spent her childhood enjoying the outdoors) was also named Australian Wonderbra ambassador to the iconic international lingerie label and featured in the 2013/2014 Spring/Summer campaign of classic Australian label Harris Scarfe, after joining the team as the face of Boutique@hs. She is also the local ambassador for 30 Days of Fashion & Beauty, as well as offered the opportunity to present QANTAS airlines’ in-flight travel programs. During her schooling years, Jesinta was heavily involved within the community, participating in charity events and various volunteer work. She won a youth achievement award in 2008 for organizing her own charity event “Walk for Water”- raising funds for water stricken communities in Queensland. Jesinta was School Captain and finished her senior year by taking out the General Excellence Cup (all round outstanding student), senior drama award and a scholarship for Journalism at Bond University. 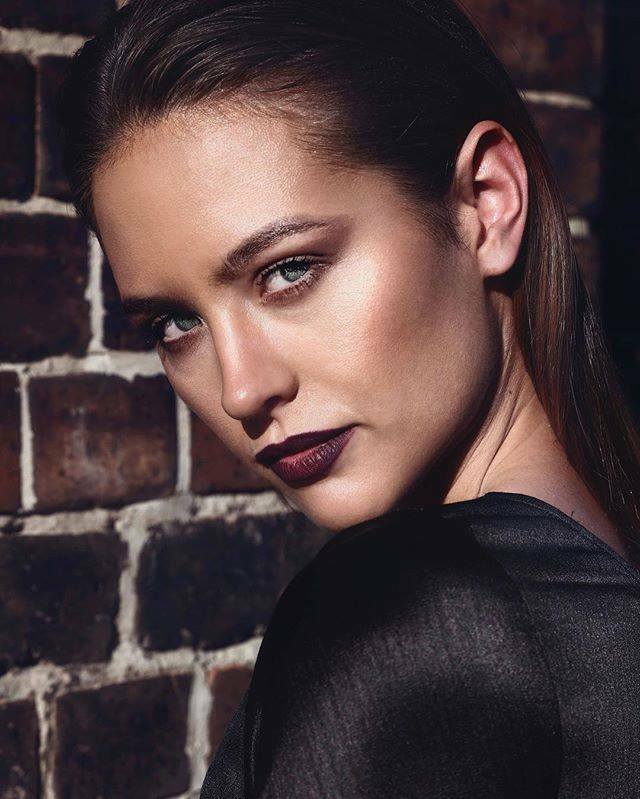 Jesinta felt her passion for charity work, public speaking and working with people were the perfect combination for her to enter Miss Universe Australia 2010. Winning was a dream and she felt proud and honored to be an Ambassador for her country at an international level in the competition. Although Jesinta’s public profile has continued to soar with her signing some very lucrative ambassador deals (ASICS Woman’s Apparel, Crown Casino, Jeep, Wonderbra, Harris Scarfe, 30 Days of Fashion and Beauty and QANTAS have enjoyed very successful partnerships with Jesinta) the sky remains the limit – as she is passionate in creating an amazing future for not only herself but others.